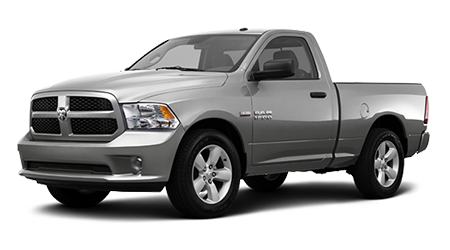 The 2015 Ram 1500 truck continues to offer innovative and unique features you can’t get from any other truck brand on the market, like the RamBox. If you live in Texas, you need a truck, so get over to Greenville Chrysler Dodge Jeep Ram and see all the ways the Ram beat s the competition. We serve up great deal on trucks and cars to the residents of Commerce, Farmersville, Garland, and Rockwall, TX every day, from our Greenville showroom. Chevy’s 2015 Silverado 1500 just got a facelift, but they still lack any compelling reason to choose their truck over the Ram. If you are a fleet buyer or just looking for the best deal on a pickup truck, the Ram is a better buy. 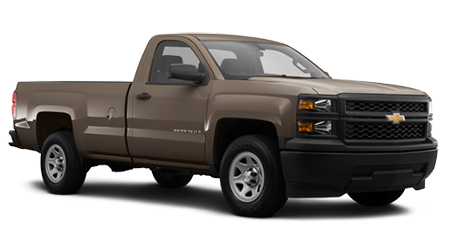 Comparing regular cab, short bed, 2WD trucks, the Ram Tradesman is about $25k, but Silverado WT is over $1,100 more. You get more power from the Ram’s base motor too, 20 more horsepower to be exact, and an 8 speed automatic transmission. Only the Ram 1500 half-ton light duty truck offers a diesel engine option, every other truck company makes you buy a 3/4-ton truck if you want diesel power. Choosing the turbo diesel 3.0 liter V6 means you get more torque than the Chevy 5.3 liter V8 and better mileage by 5 city/7 highway. The Ram diesel actually gets better mileage than even the Chevy base V6. Besides diesel power, there are other unique available features over at Ram. Choose the RamBox and you get lockable, weatherproof storage built into the sides of the bed. Add the self-leveling air suspension and the Ram will go from luxury car ride to full bed of gravel in seconds. The whole chassis of the Ram, with its 4 wheel coil springs, is unique in this class, and the 8 speed automatic transmission is only just beginning to catch on with other companies this year. No other company offers so many innovative features and options like the one on the 2015 Ram 1500 pickup truck. Greenville CDJR in Greenville, TX are your local Ram truck experts, and have the full line from 1/2 ton and 3/4 ton pickups, on up to full commercial chassis.